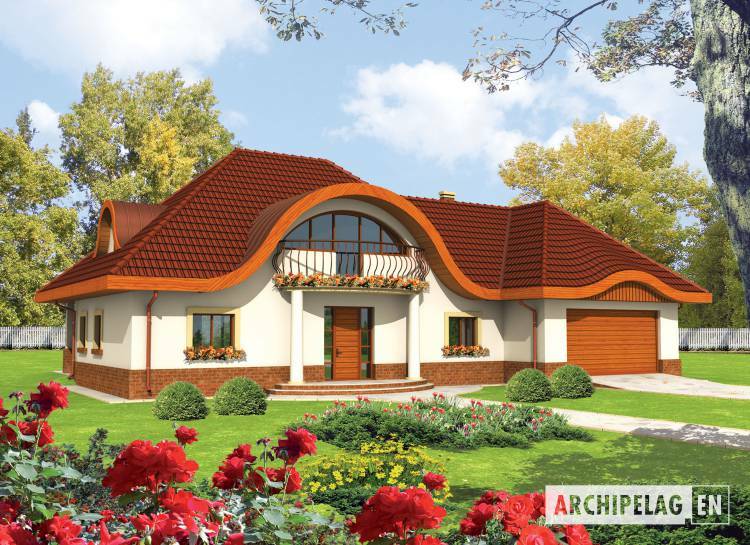 A bungalow with functional attic, without basement, with 2cars garage, designed for 3-5person family. In spite of the traditional form thanks „ waving ” roof the building is exceptional, standing out against the other background. The opened daily zone which the living room and the kitchen constitute with the dining room, is concentrating the family life. Admittedly the night zone is on an attic, but also on the ground floor a bedroom was predicted with the separate, spacious bathroom. Above the garage it is possible to convert the big attic into the room. In the project a two-position garage and support rooms were predicted: the larder, a utility room and the boiler room. A house designed in bricks technology with suspended beam and block floor. 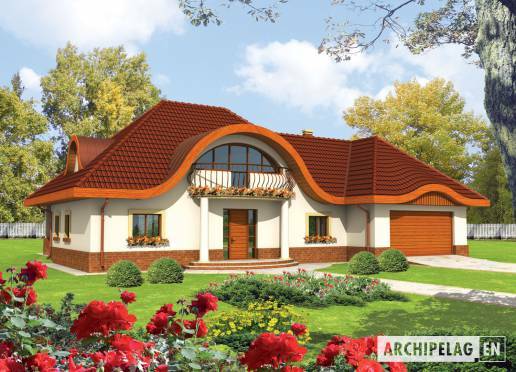 A roof of wooden construction tiled with ceramic or copper plate. Facades finished with structural plaster or clinker siding. Internal wooden stairs. Woodwork windows.